← Is It Difficult Being a Middle Manager? 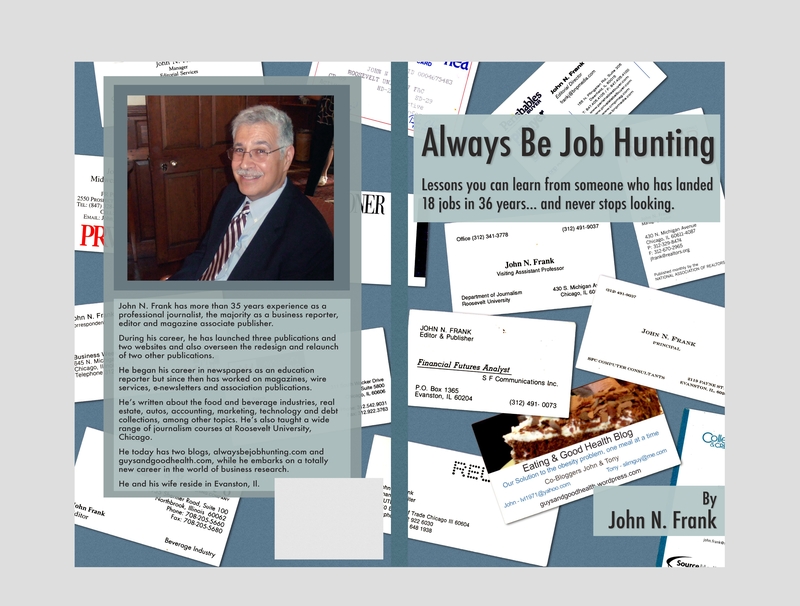 Always Be Job Hunting, my personal account about how to find a job in any economic conditions, is now available for sales through CreateSpace.com on its own page. It will soon be available on Amazon.com in both the U.S. and across Europe, priced at $9.95 and its Euro and British pound equivalents. Be among the first to buy a copy. A Kindle version also will be available in a few weeks (or longer depending on how quickly Amazon moves on that project). The publishing process took much longer than I expected, we started by sending in a manuscript in late March, so I’m glad it’s finally available. Once you have your copy, please give me feedback here on the blog and share your own job-hunting experiences. I hope to be doing book signings in the Chicago area this fall. This entry was posted in finding a first job, job hunting and tagged Always Be Job Hunting, career changes, job hunting, new job. Bookmark the permalink.